Using a mix of visual imagery is of key importance for any business. Visual imagery enables users to connect and engage with your brand online in marketing channels such as email, social media, website content and within PowerPoint presentations. Using visual imagery within rich media such as banner advertising and video advertising only strengthens your brand story and makes it more interesting. 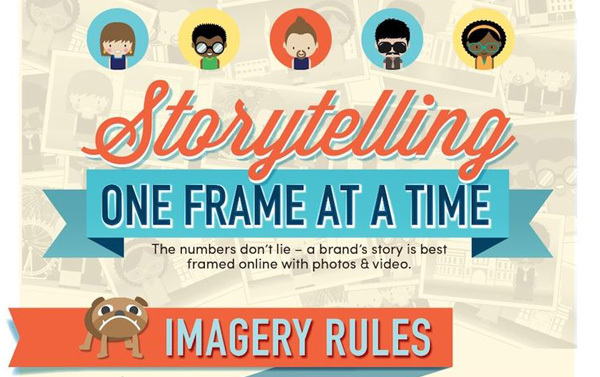 So, how exactly does visual brand storytelling work online? 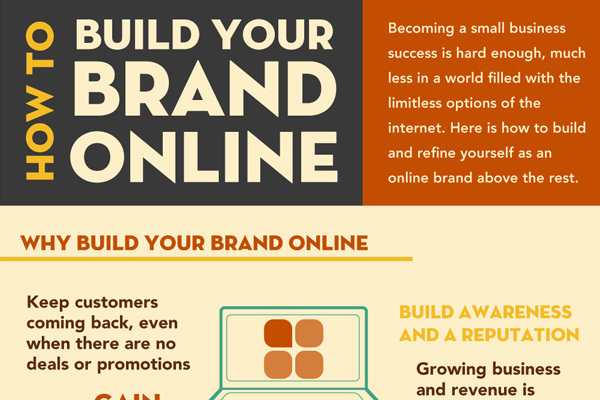 1 Build brand visibility with infographics. By using infographics to share a message or communicate an idea, your online marketing campaigns' performance can benefit greatly. 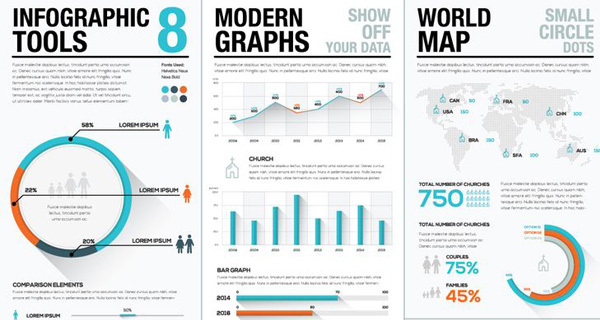 Sharing well-designed and well-structured infographics attracts natural links to your website and, therefore, can increase your brand’s visibility online. When infographics are combined with social media sharing, you can also increase your website traffic and brand awareness. “Unless our words, concepts, ideas are hooked onto an image, they will go in one ear, sail through the brain, and go out the other ear. Words are processed by our short-term memory where we can only retain about seven bits of information (plus or minus 2),” according to the Thornburg Center. Images, on the other hand, are stored in long-term memory. So, it’s a no-brainer: Market your brand through rich media. 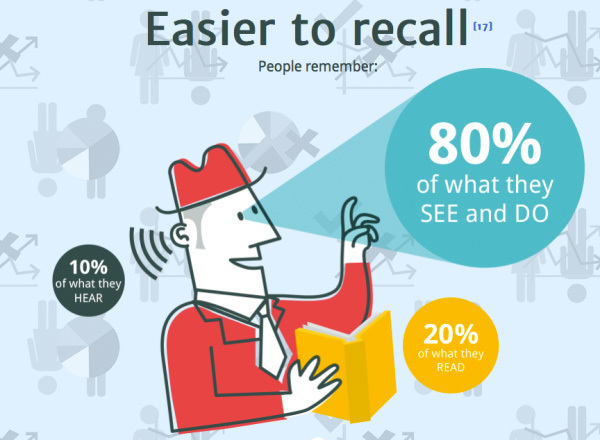 2 Help customers retain information. A recent study found that after three days, users retained only 10 to 20% of written or spoken information. In visual form, however, they retained up to 65% of the content. When testing instant recognition, the study also showed that illustrated text was 9% more impactful than text on its own and 83% more effective when the test was delayed. Whether it’s adding an icon, a symbol, changing the color of certain graphics or using a stronger call to action to grab the viewer’s attention, you should help your customers retain and collect the information easily and efficiently. Don’t confuse customers by making statistics or percentages look unengaging and not very different from other boring information they read on a daily basis. Engage your readers by bringing your data to life. An engaging presentation allows you to teach and communicate with your audience, no matter what device they are using, whether it is a mobile phone or a laptop. 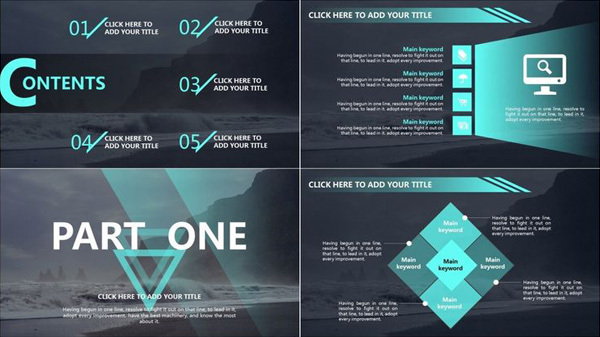 If your presentation includes a large amount of information, it’s imperative you remain consistent across your usage of elements such as fonts, borders and colors. These should be carefully considered and tested to ensure you are creating the desired impact. If you want to get your message heard at a conference or to capture your classmates' attention, you should depict your data vividly through a well-designed and engaging presentation. 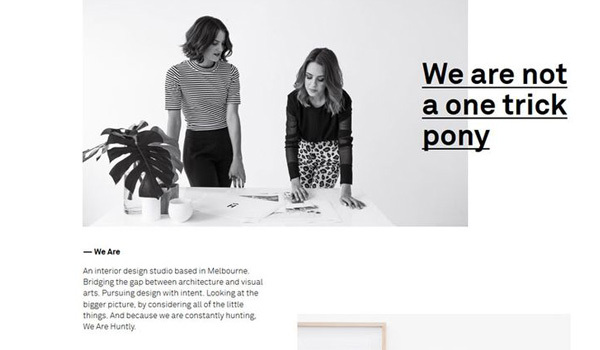 You can see our site for more information on creating impactful presentations and graphics. 4 Make bland data interesting. You may be about to do a talk or give a presentation to your colleagues, potential clients or suppliers. If you don't present boring data in a fun and an easy-to-digest manner, you might just have a challenge on your hands. People will be more receptive to your boring facts, figures and percentages if you showcase this information in a fun and playful manner. Selectively using vector graphics and effective animations can be the difference between a slow and painful presentation and a rich brand experience. 5 Paint customers a picture. Immerse your potential customers in a vivid story. Painting a picture online isn’t difficult. However, it will take time to plan out and a platform to create your ideas on. What emotions do I want to convey with our media? What do I want to publicize? What are the main corporate goals of the brand? What layout do I want to use? What tone do I want to create? What tools should I use to achieve the outcome? Once you answer these questions, you will be able to formulate a plan that accurately conveys your point to your desired audience. 6 Use demos to sell a new product. 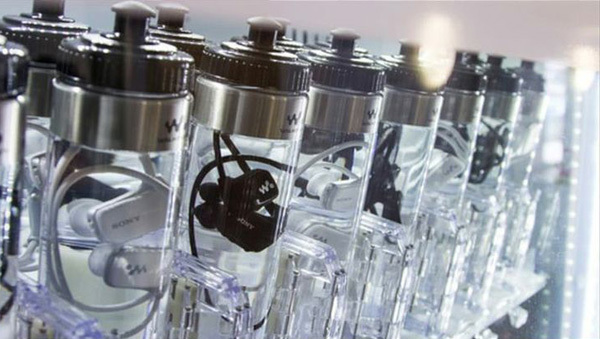 Sony's waterproof bottled Walkman campaign. Recent products can be showcased in high-definition images alongside animations or annotations on product demos. Everyone knows product demonstrations are there to sell your product, but that doesn’t mean that your advertising message needs to sell directly to your customer. Often, the most successful demos are the ones that don’t sell the product at all. Effective marketing communication provokes strong emotions and draws the viewer in. The trick is to get your product noticed. Then, it will be remembered by customers in the future. 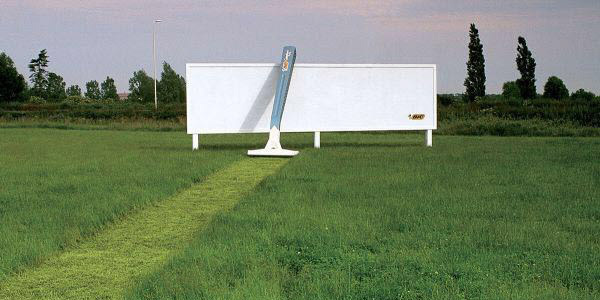 7 Make your message easy to interpret. Effective communication involves different types of people and various forms of communication. 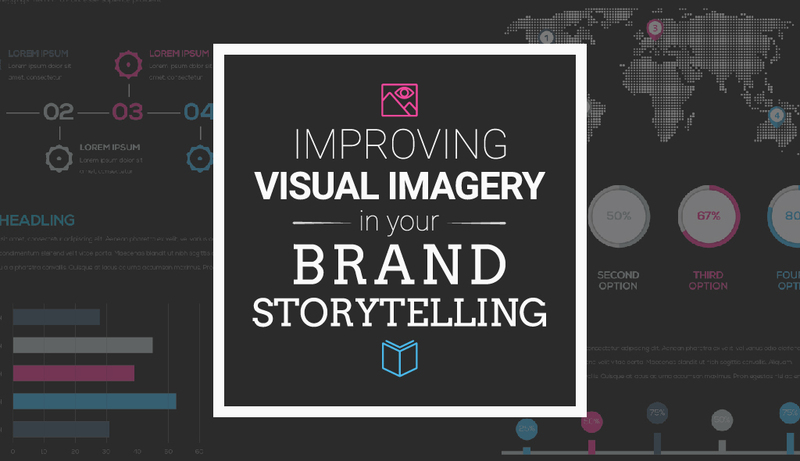 How can you make sure that you are using the best format of visual imagery to sell your brand story? Depending on your target demographic, you should be careful with the medium of communication you use, as this could be your downfall. What is the age range of my target market? What type of rich media will they be more receptive to? Should I use an infographic? What rich media is my target market more receptive to? Would it be better to present my data with a slideshow presentation? Should I format my data as a report so I can easily share the information with my boss? 8 Use rich media at live events. If you are speaking to new customers or doing a product demonstration in public, then having the best platform to present to them is essential. The ultimate goal is for people to adopt it and spread the message. By creating vivid presentations, you can attract a new customer base, convert your stakeholders and win over new business in multiple ways. Combining strong imagery, video, presentations and graphical media can get the word out about how great your brand really is. Once you have the design, you can then syndicate it across the web on platforms such as Reddit, Weebly, Live Journal and other blogging platforms. This is very important in carrying out the brand storytelling process. 9 Combine text and graphics. Selling your message in the shortest amount of time possible is every advertiser's dream. However, achieving this is often very difficult. If you are writing a company blog, a press release or sending out an infographic to your customers via social media, you should take time to plan the structure, layout, look and feel. By doing this, you can engage readers by painting a message in a simplistic format that is easy for them to take in. The point of increasing visual imagery within your brand storytelling strategy is by bringing together all media formats at every stage of the customer journey. For example, you can present previous website visitors with various forms of remarketing advertising that incorporate engaging graphs. A great practical example of this is abandoned cart email campaigns. If you are meeting a new supplier or customer face-to-face and want to represent your company in a professional manner, you will need a toolkit at your disposal that will allow you to easily impress people with good data representations. A great way to do this is to combine Excel data with a simple data visualization, such as a pie chart or graph. You can easily customize these elements and bring your brand’s data to life. This makes for good reading and easy interpretation, while effectively telling your brand story. 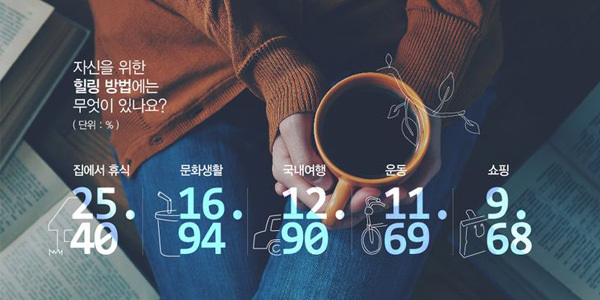 10 Connect your brand values. By bringing together videos, branded graphics, social media and your company blog within a presentation, infographic or e-mail, you can achieve brand awareness and increase audience interest. By capturing your audience’s attention with various media formats, which work well in tandem, you will be able to create more value and a more immersive experience. Simple actions like embedding a video in your presentations can make a huge difference on the impact of your online marketing campaign. Even syndicating presentations, videos, PDFs and infographics online bring relevant website traffic, build natural link authority and increase your brand awareness. 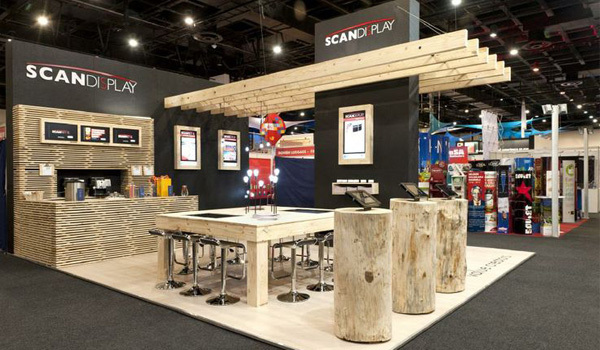 In 2015, all serious brand storytelling must be involved, engaging, differentiated and disruptive in order to stand out from so much competition in the marketplace. 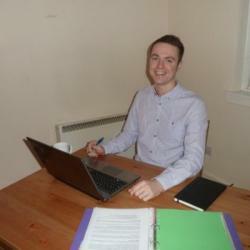 Brian Lonsdale is the Marketing Director and Co-founder of Smarter Digital Marketing, a web & digital marketing agency based in Glasgow, Scotland.